The National Institute of Standards and Technology has announced that marine storm warning announcements from the National Weather Service – broadcast on WWV and WWVH for the past 47 years, will be terminated as of the end of October. No reason was given for the move. 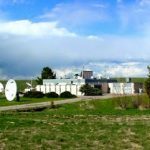 However, NIST has proposed shutting down WWV, WWVB and WWVH as part of its planned budget reductions for federal fiscal year 2019. It is unclear at this point whether Congress has taken final action on the NIST budget request.